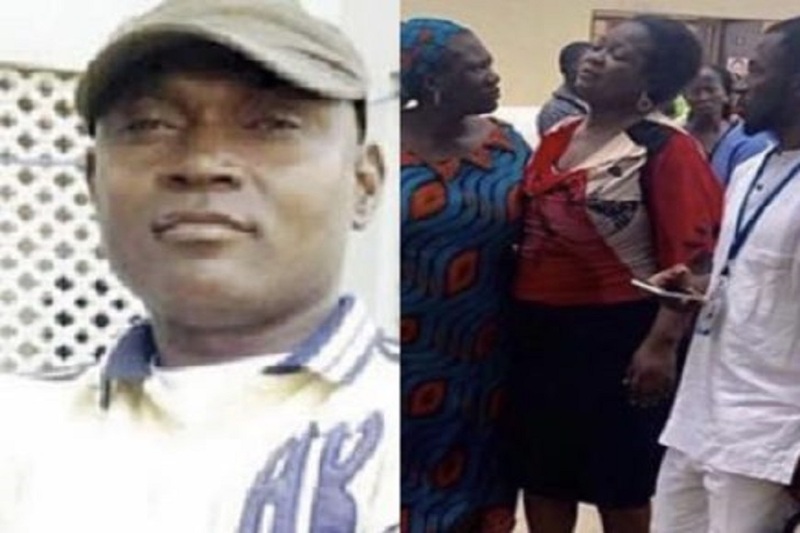 Widow of the Nigeria Security and Civil Defence Corps (NSCDC) officer, Ogah Jumbo, who was allegedly beaten to death on Wednesday in Abuja, has narrated how two policemen murdered her late husband. The woman, Ada Ogah, claimed the father of her children was dragged on the ground by the traffic warden officers at Nyanya area of Abuja. According to her, the deceased sustained broken fingernails and bruises on his toes when he was dragged on the ground. Narrating the story to Punch correspondent on Thusday, she said the traffic wardens hit her husband on the head several times with batons after which he was dragged on the ground for about a kilometre to the police station where he gave up the ghost.